Laser Tattoo Removal Toronto- Why So Many Sessions? Almost a third of people who have tattoos, live to regret it. What seemed like a good idea at the time may later be a cause for buyer’s remorse. It is not surprising that those that have contemplated tattoo removal are amazed that it takes numerous sessions to remove a tattoo. One reason is that tattoos are stacked pigment or inks beneath the skin and cannot be broken down in one session. Any aggressive laser tattoo removal treatments can cause permanent scarring, and no one wants to trade a tattoo for a scar. Lasers emit short intense pulses of light that pass through the skin and target pigment. The wavelengths sent from the laser breaks up the pigment, enabling your body to absorb the residual macrophages. The ink is then excreted via kidneys, liver, etc. Not all lasers are the same or carry the same wavelengths. This can be a contributing factor in the rate of removal. 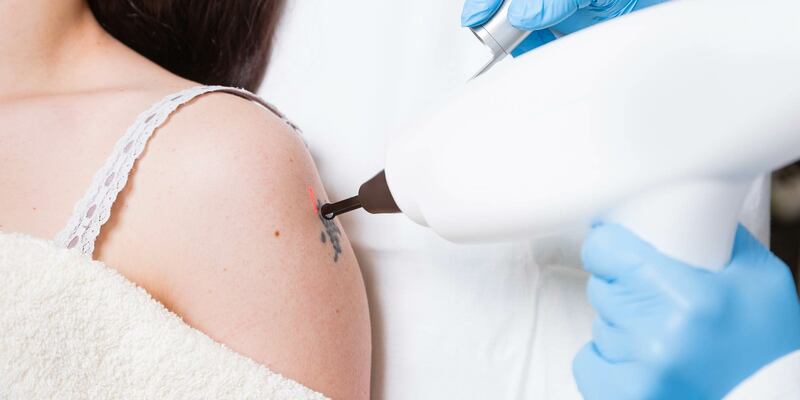 1064 nm and 532 nm wavelengths are the most popular wavelengths used in laser tattoo removal. All tattoo removal patients will require a minimum of 5-10 treatments. Removal protocol and outcome will be dependent on a few factors, such as the volume and ink type originally used, location of the tattoo, skin color, whether it is a professional or amateur tattoo, or has pre-existing scarring. When a tattoo is no longer desirable, you can laser it or surgically remove it, however the safest method is laser tattoo removal. Spacing between each session is generally 6 weeks apart and 8 weeks for darker skinned patients. This is to allow your body to properly heal and absorb the pigment particles after the laser procedures. For more information on Tattoo Removal in Toronto, visit https://www.lastinglooks.ca/laser-tattoo-removal at Lasting Looks Clinic in Toronto.